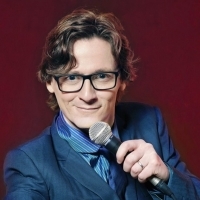 Irish stand-up comedian, TV presenter, Perrier-award winner and regular at the Edinburgh Fringe. Byrne is also a frequent guest on TV panel gameshows including 'Have I Got News For You', 'Mock The Week' and 'Never Mind The Buzzcocks'. Tours include: 'Different Class', 'Crowd Pleaser', 'Outside, Looking In', 'Spoiler Alert' and 'If I'm Honest...'.